Henry Ford once said: “It has been my observation that most people get ahead during the time that most waste.” In this time and age, when technology is taking away jobs faster than new ones are invented and it has become so easy to be left behind, those words take a whole new meaning. Organizations today are fighting tooth and nail to be able to stay in the market, let alone keep playing the game. To this end, they know that they have to be a step ahead of everyone else, constantly coming up with new ideas and ways to improve their current ones, as well as managing to maintain a better than average level of productivity without negatively affecting the quality of the service offered. However, knowing this and actually being able to do something about it are two different things. In recent years, productivity has suffered a turn for the worst in countries like the UK where the economic downturn of 2007 caused employee output to take a deep dive. 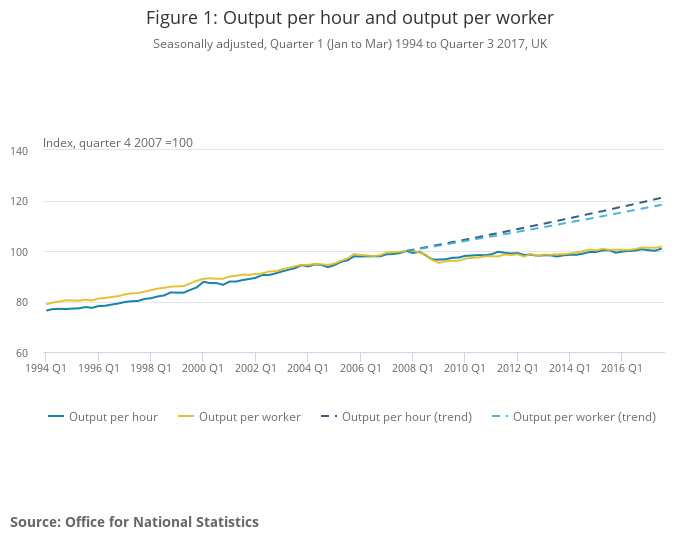 According to the ONS, output per hour hasn’t reached, much less passed, the highest peak of 2007. But not all is lost, as it has been increasing slowly but steadily. Last year, it was at its highest with an increase of 0.9% on Q3 of 2017, which placed it a full 1% above the highest peak of 2016. What causes employee productivity to increase and how can we apply it to our organizations? There are several things that can affect productivity, such as engagement, good people management practices, workplace environment, appropriate tools, use of technology as an advantage, etc. 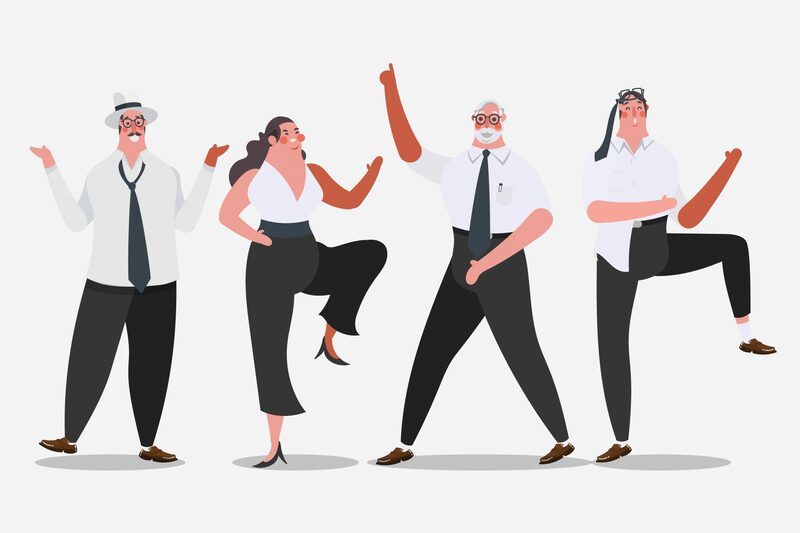 Each of these factors influence our employees and affect their productivity, and whether this is a negative or a positive effect is completely up to us. At this point in time, organizations can no longer turn a blind eye to things like workplace conditions or people practices, for those key factors will be the end of the most experienced of organizations if they don’t get onboard the train of progress. To begin, let’s look at the key actors of this play: our employees. In our article The Real ROI of Learning and Development, we briefly discuss the findings of Maia Josebachvili, who exposes the positive consequences of investing in proper people practices in her article How to understand the ROI of investing in People. Her findings clearly show the advantages of not only investing in your people but doing it right. It does not help to invest without the knowledge of what you want to achieve with said investment and without a strategy to get there. Moreover, in our following article Using Learning and Development to increase Employee Engagement, we explain how engagement is the fuel which keeps employees improving and thus keeps the organisation on top of their industry. Now it’s time to take it to the next level and see how exactly it affects the organisation as a whole. In other words, an organisation with high levels of employee engagement is at least twice as productive as its counterparts with lower employee engagement. According to the CIPD, 21% of employees are looking for a new job with a different employer. 54% of these employees listed “better benefits elsewhere” as the main reason why they are leaving their current jobs. This means that not only are employees disengaged but also looking for new jobs which,, will bring associated costs in: recruitment, training and one precious but often underlooked resource, time. So how can you stop this from happening? Something as simple as investing in your people will take you a long way. If you start by offering the benefits they are looking for, you employees will haveincentives which will increase their levels of engagement and, in turn, their productivity. Productivity is a crucial element that needs to be constantly tended to, in order to ensure that its levels are up to the needs and expectations of your organization. 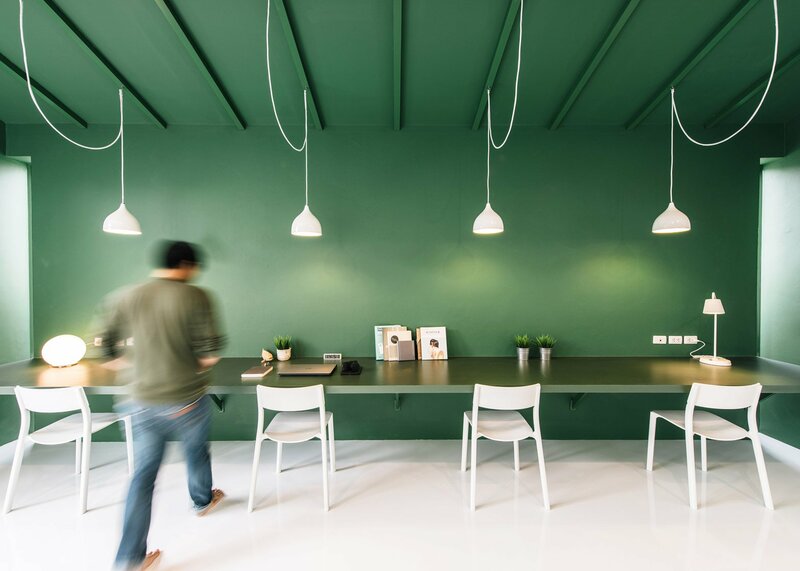 Work environment is another key aspect of employee productivity. When the environment is negative or tense, engagement and productivity levels decrease significantly, affecting the company as a whole. There are several factors that can influence work environments. For example, according to the CIPD, after last year’s Brexit referendum there was a 20% decrease of morale among colleagues, 17% increase of stress and 9% increase in cases of experienced, witnessed or heard race-related harassment or bullying at work. These numbers show that something that did not necessarily have to do with an organization’s internal dealings not only affected their employees’ performance and interactions with one another, but also the work environment in a very negative way. If you combine this information with the fact that 31% of employees looking for new jobs want the new position in order to reduce stress, it becomes very clear that outside factors can and will affect your organization, so you need to take measures to make sure that casualties are kept to a minimum. These measures must include ensuring a positive atmosphere by encouraging positive and honest feedback and timely praise. Your employees need to know when they are doing a good job so as to keep them engaged. It is also important to show them that it is not the end of the world when there are areas of improvement. Work with them to ensure that these areas are in constant development and keep an open channel of communication to avoid any unpleasant surprises later down the line. When we think about technology, we tend to think that it only applies to the latest and most expensive devices that companies like Apple and Microsoft come up with. However, when we say technology, we are going to refer to everything your employees have at their disposal to do their jobs. This means that office equipment (not limited to that which the IT team takes care of), their personal devices and the software they use are considered technology. However, it is important to note that nowadays workplace technology goes beyond this. This is due to the fact that the technology in our lives now goes beyond simple devices and equipment. Cell phones are now an important and almost vital part of our lives, and are often discounted as important technology that could be advantageous to the workplace, due to being considered distracting. Social networks are another piece of technology which has been demonised because they are considered not necessary in jobs. Yet, the use of phones and social networks is such an important part of our lives that considering them redundant or unimportant for the work environment is a terrible mistake many managers make. Unfortunately, many organizations find themselves making that mistake over and over again. Banning the use of cell phones or social networks or monitoring the use of technology in the workplace in general can have a negative effect on the two aspects discussed above. If employees think they are being watched and monitored, or feel that they don’t have the freedom to use technology as they see fit, the work environment will become tense. They will think they are not trusted to do their jobs and will not feel safe in their position, which will inevitably bring them to disengagement. This, in turn, will bring all previously mentioned consequences of a negative work environment and low of employee engagement or lack thereof. So what can you do to avoid this? This is the easiest monster to tackle out of all three. The first thing you want to do is lose the fear of technology; you ought to consider it your friend and treat it as such. Instead of banning the use of certain pieces of technology, embrace it to the point where its use becomes as equally important in the workplace as it is in many other aspects of your employees’ lives. This doesn’t mean that employees will be allowed to slack off and not do their jobs, but that they will be able to do it while knowing that you trust them and don’t feel the need to monitor their every step. Next you need to learn to keep up with what’s out there and make sure to adapt your organization’s targets and general work life as technology advances and progresses. 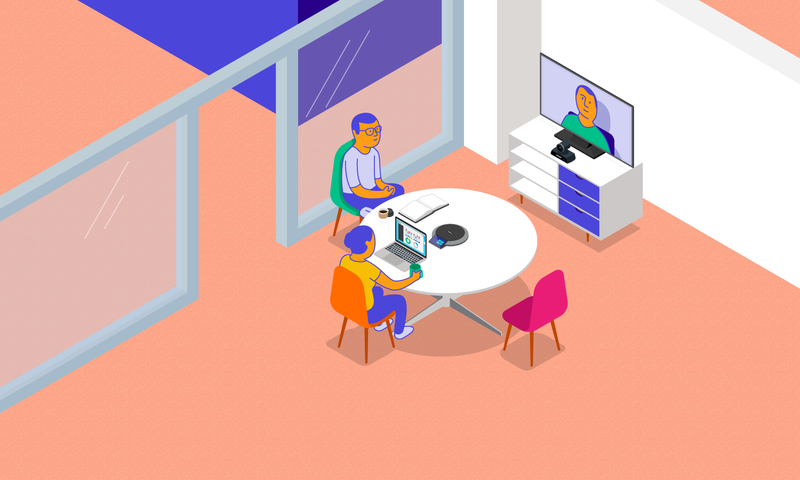 You don’t need to invest millions in keeping up to date with every new device that’s coming, but you can learn to maximize the potential they offer by being open to new ways technology can help. Finally, teach your employees that even if you don’t have the latest and newest technologies out there, they can and will have to do their jobs with what is available. Teach them to use everything at their disposal and make sure to keep open eyes and ears to any suggestions they might bring on how to use whatever you already have available. This will undoubtedly help increase productivity, as they will be comfortable and confident in using all resources available to make sure the job is not only done, but executed to the best of their abilities. There are many things that influence employee productivity, but these three factors are crucial when we want to improve and increase it. Without a good work environment and the appropriate tools, your employees will not be engaged and turnover will be looming constantly over your head. If you make sure to keep an eye on these three aspects of an employee’s life, and take the steps to ensure that they are in the conditions they should be, your employees’ productivity will skyrocket and your organization will be able to stay in the game and at the top of its industry.